Great staff make for a great experience for you and ultimately better health because you get the service and the treatment you need. We have doctors, nurses, physiotherapists, a dietitian and a fantastic admin and support team too. Miriam is the managing director of Village Health and has a vast experience in Emergency Medicine and managing businesses. 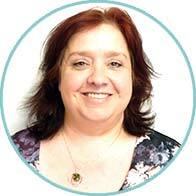 Miriam has a special interest in Urgent Care, Paediatrics (especially teenagers) and Women’s Health. Miriam really encourages all her patients to consider their lifestyle as a strong driver of their health, that is: diet, exercise and sleep and reducing smoking and alcohol. Being a mum herself and married to a youth worker, she really enjoys looking after babies, children and teenagers. You will no doubt see her if you book into an acute clinic and is available for “girlie” concerns if you are not comfortable with your normal doctor. Miriam Martin, Janine Close and Janine Searle all work part time and share their patient load, if the one you are enrolled with is not available, just book in with one of the others. Annette graduated in 1992 from Leeds University in the UK and came out to NZ in 1993 to travel and never went back. 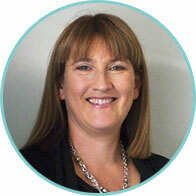 Annette has been a GP since 1997 and became a Fellow of the RNZCGP in 2014. 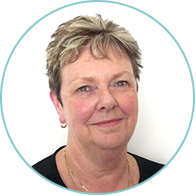 Annette loves all aspects of General practice – she especially enjoys children and women’s health, minor surgery and the removal of skin lesions. Annette enjoys getting to know families providing care encompassing physical, mental health and social aspects of families. She was also a Police Medical Officer covering the Southern District – mainly forensic work (and is doing the same here in Christchurch, so if you find yourself in the police cells in Christchurch you might bump into her). 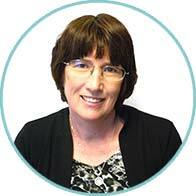 Annette has moved back to Christchurch with her husband and 3 teenage boys who are all heavily involved in fencing. Annette has taken over patients from Dr Lynda Exton but also has some space for a few more patients if you are looking for a new GP. 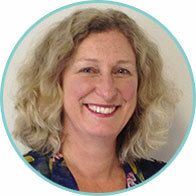 Janine is a very experienced GP and is back from sabbatical now working part time. 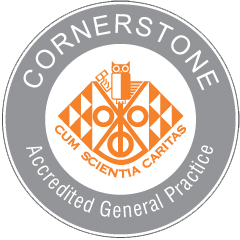 Janine is very particular about detail, ensuring nothing is missed and enjoys the vast variety that General Practice gives her. She especially enjoys dealing with families with babies and young children. 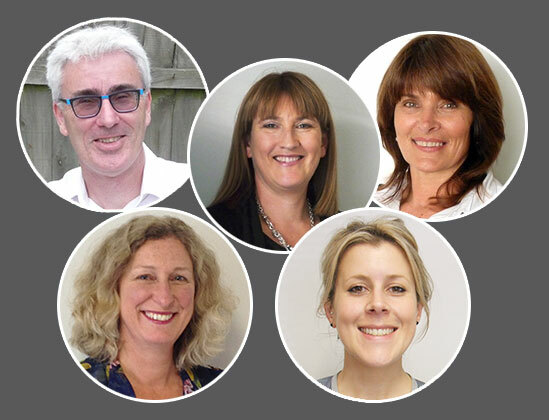 Janine’s expertise is very much appreciated by all the other health professionals in the practice and especially those that are new to Christchurch’s quirky way of doing things post-Earthquake. Janine spends the rest of her time as a clinical editor writing expert GP advice for the Canterbury District Health Board’s online resources. Janine has been working on the North Side of Christchurch in General Practice for the last 4 years but has joined us to be more available to her school aged children. Janine loves the variety in General Practice and her experience ranges from paediatrics (2 years at Starship Hospital) right through to geriatrics and palliative care. Janine has also taken on the role as house doctor at Bishop Selwyn Lifecare as she enjoys the challenge that this older age group brings. Isobel graduated from Sheffield University in 2012 and completed GP training in 2017 in the UK. She is enjoying exploring New Zealand and getting outdoors whenever possible. Isobel enjoys most outdoors activities including running, biking, tramping and swimming. Isobel has experience in psychiatry, elderly medicine, obstetrics and gynaecology, palliative care and oncology giving her a wide range of experience to use in general practice. Eve has joined Village Health for 6 months as a GP registrar. Born and raised in Christchurch, Eve graduated from Otago University in 2012, and from then worked at Christchurch Hospital before making the transition to GP at the end of 2018. With much of her hospital time spent working in General Surgery, Eve is experienced with gastrointestinal and breast issues, and she also has an interest in minor surgery. Outside of work, Eve has her hands full with her twin toddlers. If she gets a chance, she enjoys keeping fit and active, balanced with some good food & a glass of wine! Eve works closely with Dr Annette Walker, and is available to see patients all day Monday & Wednesday, and Thursday mornings. 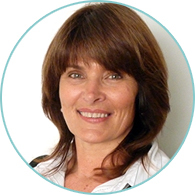 Susan comes to us from Arahura Health Centre and has postgraduate qualifications in Manipulative Physiotherapy and McKenzie training. This makes her an excellent first port of call for most musculoskeletal aches and pains. Have a look at the list below or ring our friendly receptionists if you are unsure. Claire joins us from another busy surgery across town to take on the role of nursing team leader. Claire settled in Christchurch in 2009, after emigrating from the UK with her husband and two children, and brings with her many years of experience in emergency nursing both in the UK and Christchurch. Claire enjoys all aspects of practice nursing, especially the continuity of care that general practice provides, enabling close professional relationships to be built with patients and their families. In her spare time, Claire enjoys getting outdoors and spending time with family and friends. 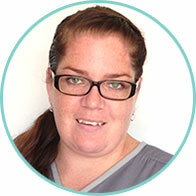 Ria has joined us from a large practice in the Hawkes Bay where she worked as a receptionist before she became a nurse. This experience in reception has given her “super-powers” when it comes to making sure you are up to date with all your screening. Ria also loves babies, reading books and drinking coffees with her friends. Despite her love of babies, she is always keen to ensure that everyone is up to date with their contraception! Sabina was born and raised in Canterbury. She studied at Ara Institute of Canterbury and gained a Bachelor of Nursing in 2017. Sabina is interested in health promotion and holistic care. She loves working with people and families from different cultures and backgrounds. In her spare time she enjoys having adventures in the outdoors with family and friends. Leanne has recently graduated as a dietitian from the University of Otago and is thrilled to have the opportunity to work with the staff and patients of Village Health Lincoln Road. Born and bred in rural North Canterbury, Leanne loves getting outdoors, listening to music and visits to the beach. Leanne is ready and able to address any dietary concerns including advice around weight and diabetes management, reduction of high blood pressure and cholesterol, Irritable Bowel Syndrome (IBS) and other gastro-intestinal diseases such as Ulcerative Colitis and Crohns Disease, food allergies and intolerances, pregnancy and paediatric nutrition. Following her 5 years of study at Otago University, Lydia has returned to Christchurch and joined our practice as our Dietitian. She enjoys a strong cup of coffee, flavoursome food, and travelling around the South Island hotspots. Having completed her thesis in Intuitive Eating, Lydia has a passion for mindful eating and health behaviours. She looks into various options for those who wish to change their lifestyle to a healthier one, or build upon it. Lydia is able to address any dietary or lifestyle concerns you may have, including but not limited to, diabetes and cholesterol management, high blood pressure, weight management and weight gain, mindful and intuitive eating, fussy eating, food allergies and intolerances, paediatrics and gastrointestinal disturbances; IBS, ulcerative colitis and Crohn’s Disease. I was born in Ashburton but have lived most of my life in Christchurch, I started working at Lincoln Road Medical Practice in 1997 with a wonderful team. My hobbies include gardening, travel, sport and being involved with a Community based Volunteer Organisation for the past 17 years. I also enjoy spending time with my daughter and granddaughter. Born and bred in Tokoroa, a small forestry town in the middle of the North Island, my husband and I left there in 1987 and have moved around the country with our six children (all adults now, some with their own children). We have moved back to Christchurch, having lived here twice before, to support and enjoy time with our son and daughter in-law and three of our 13 grandchildren. I love the flat plains of Christchurch that enable me to cycle/walk longer distances than normal, although I have found the odd hill to struggle up! Moving from Southland in 1998 to start work at Lincoln Road Medical Practice has been both rewarding and enjoyable. I enjoy the variety of people and work that General Practice brings, being able to assist with patient requests brings me great satisfaction in my work. I am from Ngai Tahu decent, married to Michael with three adult children. My interests include the outdoors, camping, spending time with whanau and my wonderful wee grandson. 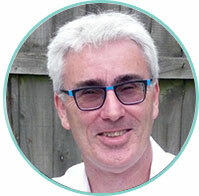 Brendan has vast experience in practice management and works to keep the whole ship sailing in the right direction. He most recently was awarded the "Practice Manager of the Year"by PMAANZ too. Brendan is also experienced in IT which means that he is pretty handy around the place. Brendan’s main job in the next couple of years is to help Village Health plan, build and move into our new building planned for 30 Lincoln Road. A big job to be sure, but we think he is up to it.